We already posted that Morrissey was playing big shows in NYC and LA, but now Moz has announced a full North American tour, that comes to a close (currently) with the Brooklyn Barclays Center show on June 21 with septugenarian UK pop legend Cliff Richard opening. Still no word on when tickets go on sale. 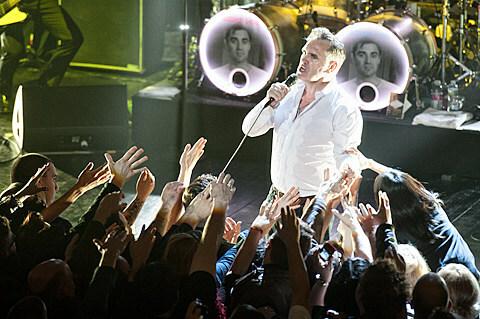 Morrissey is currently working on his new solo album which will come out on Harvest Records. All dates (via P4k) are with frequent tourmate Kristeen Young and are listed below.